We started making chocolate in 1966 and it's become a customer favorite! 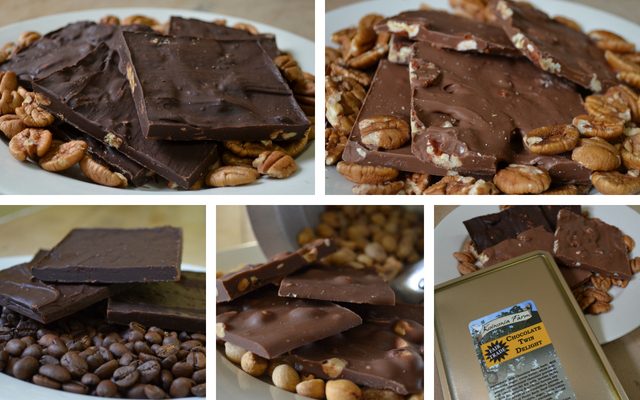 We hand pour Fair Trade Chocolate over our pecans and peanuts to create the delicious pairing of sweet and salty, smooth and crunchy. These chocolate treats are a great gift for any occasion or a "just because" snack. We also partner with Divine Fair Trade Chocolate to provide a variety of Fair Trade Chocolate Bars in delicious flavors with great packaging perfect for gift giving.